We are happy to help with your catering for Breakfast and Lunch! Boychicks Deli caters breakfast and lunch every day. 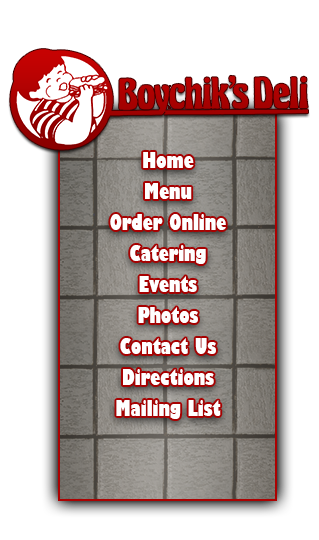 We have a hearty breakfast catering menu including anything from a quick and easy breakfast sandwich tray to a full breakfast. You can customize your order to include fresh fruit, danishes and muffins, coffee or orange juice - or be creative! We have grits, sausage gravy and biscuits and are happy to make anything on our menu! 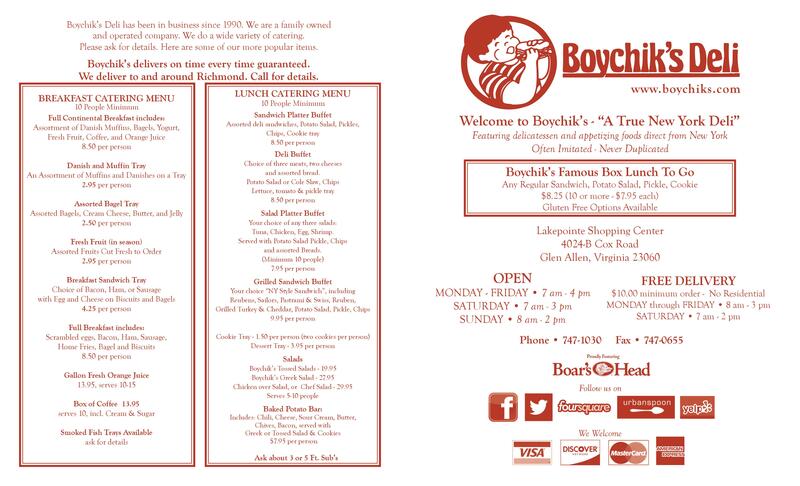 For lunch, we have several options. You can have a deli sandwich tray, grilled sandwich tray, Greek or tossed salad with homemade dressing. How about a baked potato bar and our homemade chicken noodle soup, matzo ball soup, chicken and dumplings or chili! Don't see it on our menu, no problem. We can make it! Call today to discuss your ideas and we will try to make it happen!